One of our important jobs here at Accelerator Websites is to keep Google happy when it comes to getting your web pages to rank in search. And Google has made it easy with Webmaster Tools Search Console. The search console is where you can log into to view statistics, errors, and suggestions about your site that are related to how it’s indexed for search. We’ve added the Platinum and Pro clients’ websites to our console, and we periodically review it for several things. Here is a summary of what’s available in the console. The search console in Webmaster Tools offers suggestions to improve the code behind your website. We monitor any suggestions left by Google in this section. We add structured data about your company, organization, people, and your site so Google can find you better with this code. This section lets us know whether it’s working or not. We look at this section to make sure there aren’t any spammy sites linking to yours. This would be something Google would penalize sites for. Google lets us know if text is too small, action buttons are too close together, or there is something else that is impacting the mobile display. Here we can check to see how pages have been indexed in Google’s database. This area reports when Google’s bots could not connect to the server. It also reports URL errors here, if any. Robots.txt is a file we provide that tells Google which areas of your site to index and what not to index. It’s standard for us to exclude the /wp-admin/ folder which contains the WordPress software. 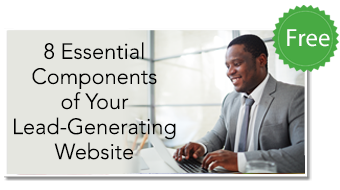 Every other part of your site should be indexed. If you have parts of your site that should not be indexed, let us know and we can update your robots.txt. file. This could be thank you pages, any folders with data that should remain private, and any other files on your site that you don’t want to appear in search results. The tester in the console allows us to view the file contents so that we know it was set up correctly. Another important component for search engines is a site map. This file usually resides at sitemap.xml. Our SEO plugin generates this and we can view the contents in the console to make sure it’s set up correctly. Search analytics help you find out when your site was displayed or clicked on based on keywords someone entered. You can tell how many times your site appeared in search, what position it held on the search results page, and if someone clicked. If you’d like to be able to view your statistics in the search console, let us know and we’ll add you as a user so you can view your site.